I also have to share my excitement over these Celine dupes. The Celine “baby audrey” sunglasses have been the “it” item all summer. Finding affordable look-a-likes was thus hugely exciting for me. I hope you all had an amazing weekend (and to my American readers – Happy Independence Day!). I am so happy to finally be celebrating summer here in Vancouver. I am back at work today, but am already planning a beach bbq for after work this week. Bring on the sun, sand, and ice cold drinks! "Wednesday Wants: Summer Pencil Skirts Under $150"
I love that dress! 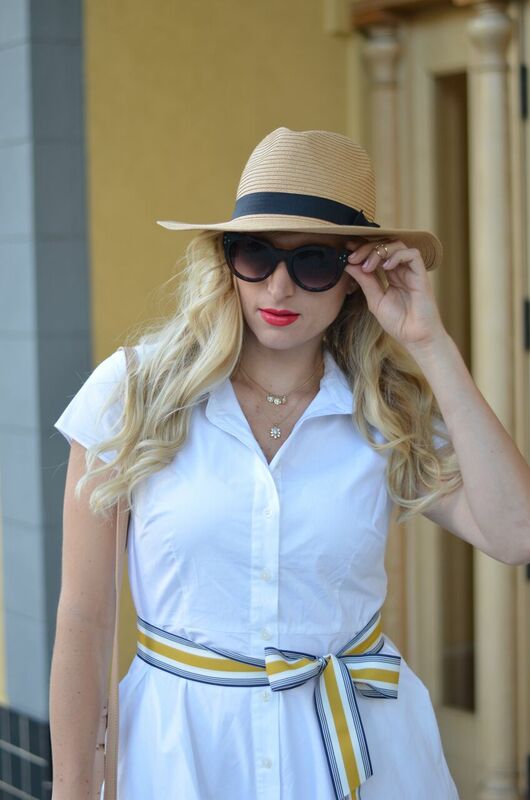 The colorful belt is gorgeous for a pop of color! Isn't it awesome!? I totally agree about the belt I love it! I also can see changing it out for any piece of bright ribbon to change the color scheme! Such a chic and effortless look! I love to reach for shirt dresses on casual days. Thank you! I totally agree -its a glam outfit in one easy step! Great look! Love the crisp white dress! Agreed! and thank you so much! 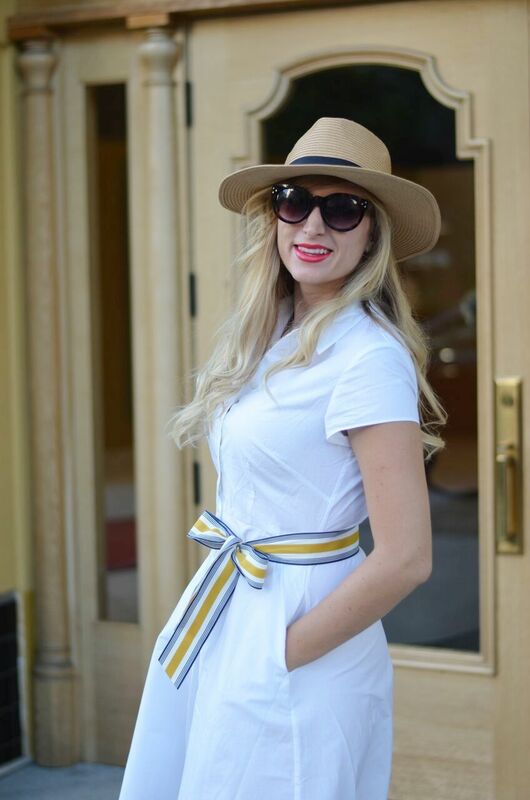 Love your LWD, the multi-colored belt is perfect to add a little bit of color! Hope to see you stop by my Wednesday linkup! 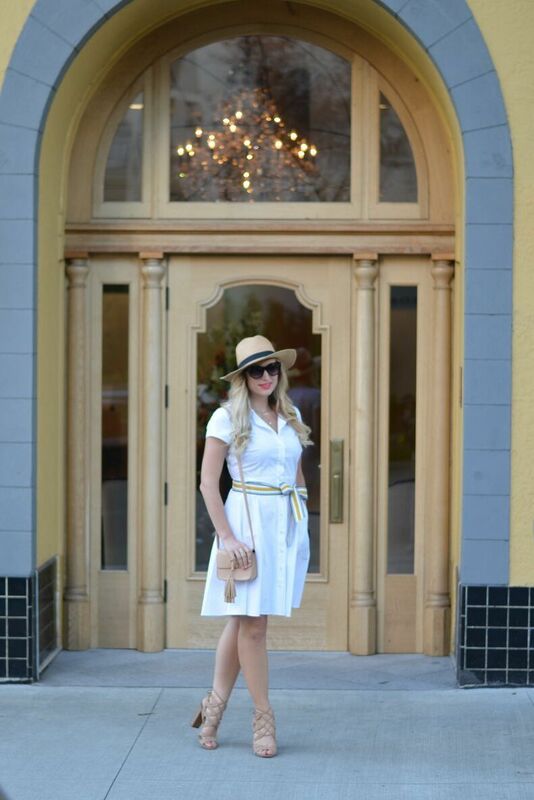 A crisp white dress is the perfect summer staple! Love the belt! You look fabulous! How stunning is this dress?! i love the ribbon around your waist! Looks great on you! I like white dress but hate wearing slip during summer because can get really hot. Was the dress see through or lined? Ahh i TOTALLY agree – that is the problem with wearing white! I didn't have to wear a slip under this so I'd say it was pretty good! I would have liked it to be a bit thicker to be less see-through, but I'd give it about an 8/10 for passing the see-through test.